• Fund Raising “Breakfast with Santa” Events! • Visits and Photos for your employees’ Families! 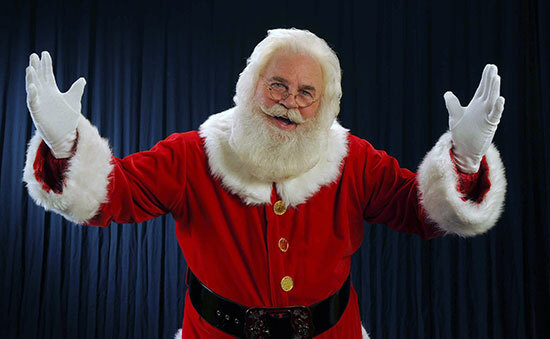 • Storytime with Santa performed for your employees! Having Santa at your event is a nice way of saying “Thank You” to the people that have made your company great. It lifts their spirits and mood for the coming New Year. We will be more than happy to work with you on having a wonderful Christmas event. Now is a good time to book before the calendar is full. Many of the events book from year to year so be sure to plan yours early before it’s too late and my calendar is full. We will provide additional information on working with Santa and help you plan your event so please call as soon as you set your date. The Christmas holiday season is a very special time for family and friends. Just imagine how special it would be for your members, their children and grandchildren, to share a visit with that Jolly ol’ Elf, Santa Claus. Here is a chance to make lasting memories as they sit on Santa’s lap, sharing their Christmas wishes and a photo. Or even consider making it even more exciting by arranging this visit during breakfast, lunch or supper and watch as Santa goes from table to table visiting each child and family. Your members will be amazed at the quality of candid photos they will get during this visit and aren’t these the memories that last a lifetime? Think about it, you will be offering something to your members that they cannot obtain elsewhere. Whatever the event, your members will love it! A special time at a special place…their Country Club. Let Santa Rick be your Santa this Christmas season. Call (678) 336-9969. Book early before my calendar is full. 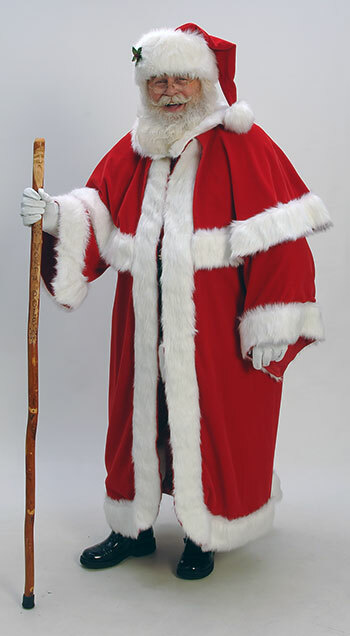 • Santa Tuck-in Service for your Guests! • Lobby Visits with Santa! The possibilities for Christmas are limitless. Your guests will remember being away from home on Christmas and think about what they experienced in your hotel. One of the questions often asked by children who are going to be away from home during the Holidays is “how will Santa Claus know where I am?” This is a perfect opportunity for your hotel to offer a solution to your guest’s concern. You can have Santa in your lobby by the Christmas tree or the fireplace where children can visit. On a more personal note, arrangements can also be made for that special Christmas visit to your guests room as Santa tucks the children in for a good night’s sleep. Imagine their surprise! •	City Employees Holiday Parties! • Combination Parade & Santa Visit! 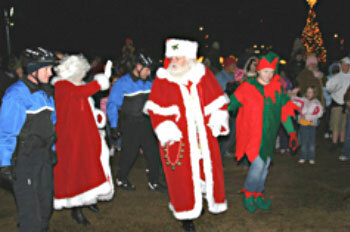 • Tree Lighting & Santa Visit! • Schools – Special Pricing!